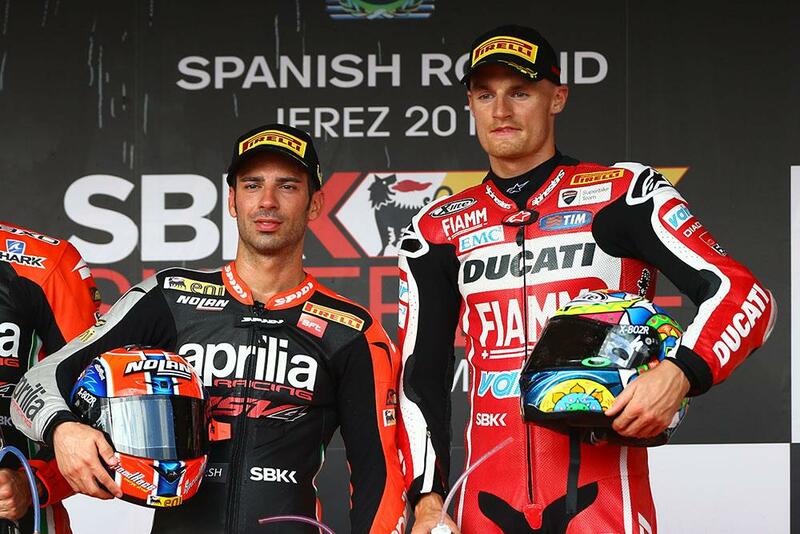 As reported by MCN earlier this week, Marco Melandri will join Welshman Chaz Davies at the factory Aruba Ducati squad in the World Superbike championship for 2017. The Italian has spent 2016 watching from the sidelines after failing to secure a seat in the world championship for this year, but says he’s excited to get back to action as soon as possible as Davide Giugliano’s replacement. “I’m really excited to come back to racing, it’s a dream come true. I always said I was only interested in a top bike and top team, and I could not have asked for more. I kept following WorldSBK closely, and I’m confident the Panigale R can perfectly suit my riding style. We’ll just have to take one step at a time, but the potential is surely high. Speaking exclusively to MCN at last week’s German MotoGP race, Ducati Corse boss Paulo Ciabatti confessed to MCN that Giugliano was on the way out, admitting that not just results needed to be taken into account. The news also sees Davies secured for two more years with the Italian manufacturer – but with no mention of his future beyond 2017, it could well be that he’s eyeing up a potential move to MotoGP in the near future.